Note that several circuits do not have archives that can be searched by nature of suit for this entire period. Coverage for the seventh circuit starts for cases filed after January 1, 2008. 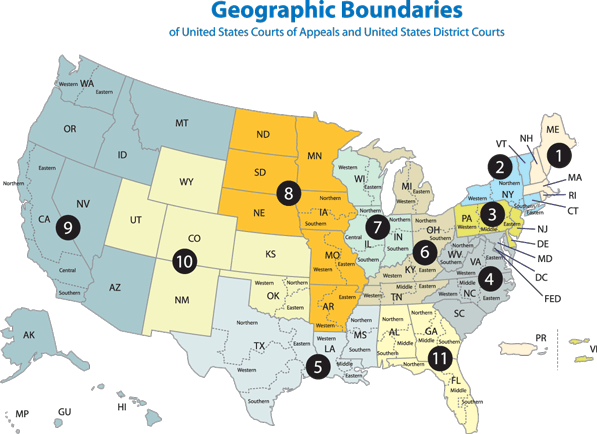 Second and eleventh circuit coverage begins January 1, 2010. FOIA appeals data are updated weekly for any new filings or closures. For each case, our archive contains the court docket and opinions or orders issued. To access appeals cases, choose the “FOIA Lawsuits” selection from the main menu, and then “Search Appeals.” You can find cases by specifying date ranges, circuit-specific details such as case number or party, and text anywhere in the docket or opinion. You can combine any of these search options to narrow in on your cases of interest. To locate an appeals case in which a specific government agency was named as defendant in district court, click on the plus sign next to “Defendant Agency.” This brings up a selection box; start typing an agency name or abbreviation and within a few seconds you will get a list of federal agencies that handle FOIA requests. Note that not every agency will necessarily have been named as a defendant in a FOIA case. To find an appeals case by date, click on the plus sign to the left of either “Filing Date” or “Date Closed.” Either use the pop-up calendar or enter the date directly as YYYY-MM-DD (for example, October 1, 2013 would be entered as 2013-10-01). If you only enter a “filed from” date, the database will be searched for all cases filed on or after that date. If you enter both “filed from” and “filed to” dates, the database will be searched for cases within that range. If you enter only a “filed to” date, you will search for all cases filed before that date. The same goes for closing date. You can combine filing and closing dates, so for example, you could look for all appeals cases filed between January 1, 2009 and December 31, 2010 that were closed before March 31, 2011. Thanks to documentcloud.org which hosts storage of the dockets and opinions, you can also enter a text string that you would like to find. Normally search results will include dockets as well as judicial opinions and orders, but you can choose to limit results to only dockets or only opinions and orders. Just click on the plus sign to the left of “Select documents types to list” and check the type of documents you would like to see in the results. If you want to set the order in which documents appear in the search results, pick the appropriate options next to “Sort results by” and whether you want items to be sorted in ascending (A to Z) or descending (Z to A) order. Results are presented as a list containing case title, circuit, case number, links to documents, and in some cases filing and closing dates. Clicking on the case title brings up case details that include party names and, when available, a link to the associated district court case. Clicking on the document link brings up a viewer for the requested docket or opinion/order. We download court documents using the U.S. Courts’ Public Access to Court Electronic Records system, known as PACER. Included in our archive are all lawsuits in our coverage period (see above) for which the “nature of suit” was classified by the federal appeals courts as a Freedom of Information Act case.